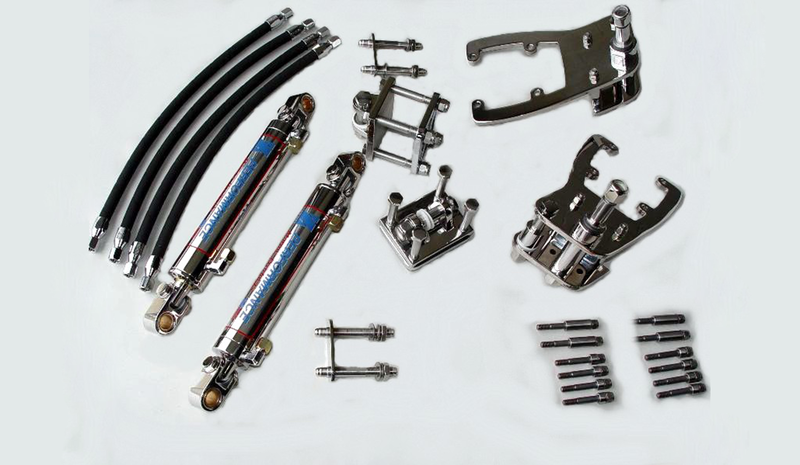 External Hydraulic Steering Systems are a must on any High Performance boat. The external rams help lessen the load on the Sterndrive Gimbal housing by evenly distributing engine torque. Zeiger Industries is now one of the most prominent steering manufacturers in the industry and their systems are original equipment on many of today's high performance offshore boats. The heavy-duty 360 degree swivel tie bar is another one-of-a-kind, patented product by Zeiger Industries.